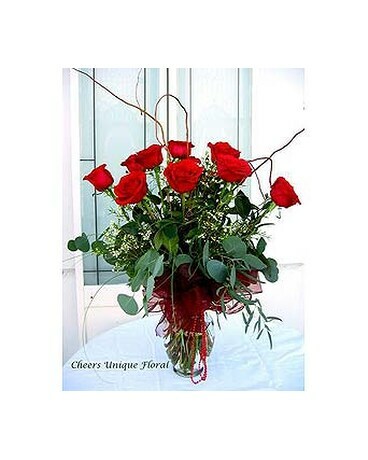 A dozen of premium imported red roses arranged in a heavy ginger glass vase with assorted greenary & filler flowers. Curly willow is added to enhance interest. A red ribbon bow is added for better presentation. Approx. 28 inches tall. (Container may be varied & is subjected to availability).